Dial® Deep Cleansing Hand Soap! NEW Dial® Deep Cleansing Hand Soap is the latest Dial® Brand hand soap bringing luxury to your hand washing experience. These premium soaps feature vibrant scents, a gentle micro-scrubber formula that smooths and moisturizes the skin, and a completely new design that adds personal style to your home. I was very fortunate to be able to check out two of these tropical and fun dial hand soaps, the Coconut Lime Verbena and the Yellow Raspberry and black sugar. These are more than just basic hand soaps they have vibrant scents, with refreshing moisture and gentle micro-scrubbers. I loved the sound of these wonderful scents. But how would they smell, and work, would they really put me into a great spring/summer mood. Well yes, I would have to say so , the smells were so light, tropical and clean smelling. I was very impressed. The lime had a rich strong, real lime scent that would get you up in the mornings. My favorite of the pair was the Raspberry and black sugar it was sweet and fruity a great summer scent. We used the soap in our bathroom during the my husband’s birthdays party, and I got quite a few complements on it. My guests loved the look of the soap and the smell. I will be picking up more of these wonderful soaps soon. If you are looking for a new soap, that smells great and clean your hands well, you are going to love the NEW Dial® Deep Cleansing Hand Soap! These new scents are amazing, and I am sure you will love them too. The generous folks at Dial are giving one of Susan’s Disney Family readers a chance to win 3 free Dial hand soap coupons (the coupons expire on 3/31/14, so you will have to use them asap). Would you like to win? Please let me know what you love most about Dial? There are also other ways to enter, please enter below. You can purchase these Dial hand soaps at your local grocery store. Disclosure: The reviews and or opinions on this blog are my own opinions . I received soap to review. No monitory compensation was received. I was not required to write a positive review. Your experience may differ. The opinions I have expressed are my own I am disclosing this in accordance with the Federal Trade Commissions 16 CFR Part 255: Guides Concerning the Use of Endorsement and Testimonials in Advertising . I love that Dial has been around forever! Dial has the best lather! I love their variety of scents. I love the variety of scents and the affordable price! I like how it smells. I like that they have a lot of different good smelling scents! I like the scents and its affordable. I would like to try the Yellow Raspberry and black sugar Dial hand soap. Dial soap smells nice and is gentle on my skin. I love how well Dial always cleans! I like the scents and that it cleans my hands. I like the scents and that I know when I use it my hands get real clean. I love the great smelling scents. Yum!! I like that it's a powerful germ fighter! I love all the scents! I think Dial is the best quality of hand soap. I like that Dial soap doesn't get all gummy - thank you. I like the different scents I can choose, I usually choose one scent for the bathroom and a different one for the kitchen. this is my favorite hand soap! I like that this particular formula does not contain triclosan. 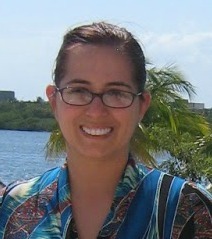 Antibacterials are believed to promote resistant bacteria. I like Dial products and I think the scents sound nice. I like that it is antibacterial. I like that its antibacterial but has a fresh scent not clinical. I like that the scents aren't overpowering. I like that its antibacterial and the choice of scents. I like the price of "Dial" soap. I really like the way it lathers and the way it smells. I love their antibacterial soap, I hate germs and they kill them all! I like that Dial soap products are reasonably priced. I like that it is a familiar trusted name brand and I like the scents they offer. It doesn't leave my hands all dry. I like the scents dial offers. I love scents and would love to try water blossoms! i like that dial soap is quality for a good price. i am tony l smoaks on rafflecopter. I like the scents and how well it cleans. I like the fun scents! I love the price and the scents. That it washes away "clean" and doesn't leave a soapy residue. That it washes away clean and doesn't leave a residue. I love how soft it makes my hands. I like how it is so gentle on my skin. I love the scents and also that it comes out foam. It makes my hands feel cleaner. 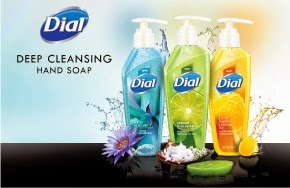 Thanks for the giveaway…we like the great selection of Dial Soap products i.e. bath soaps, hand soaps, bath gels, unique scents, etc. I love the way Dial Soap leaves my sin s clean & res smelling! I also use Dia Lotions! I like how effective it is.